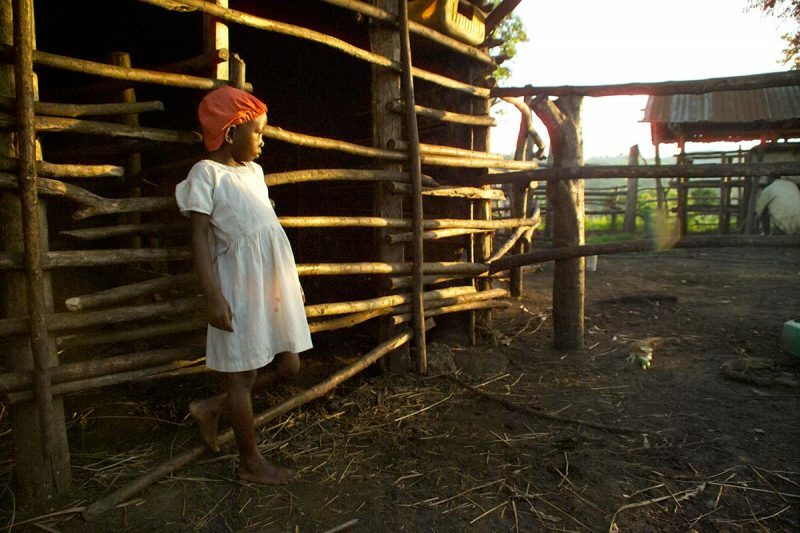 Besides cultivating and processing vanilla we also breed milking cattle, distil banana gin, grow arabica and robusta coffee, cocoa, cardamom and bananas; and every year we replant hardwoods on the farm that were decimated during the Amin years. 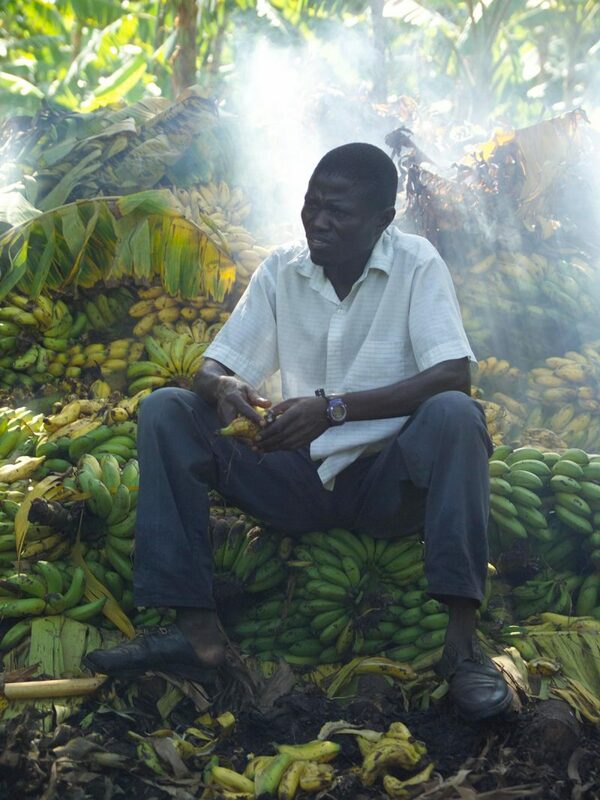 Akora Head Waragi Man (left) sitting amid a heap of Ndali’s kisubi bananas which will be peeled, fermented and distilled by the river into a banana gin – ndali waragi or ‘war gin’, drunk traditionally on the battle field. 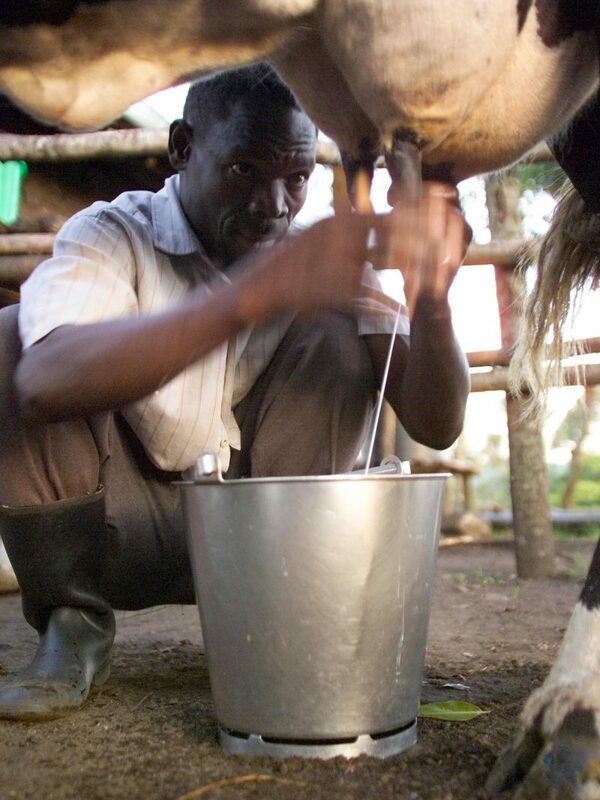 Birungi Head Cattle Man (below) milking Marg at the cattle shed. Birungi (meaning ‘Good’) is the most peaceful and animal loving of all Ndali workers and lives on the farm with his family. His dog Akataito was killed by a 13’ python which shot from the river when Birungi was leading the cattle to water.